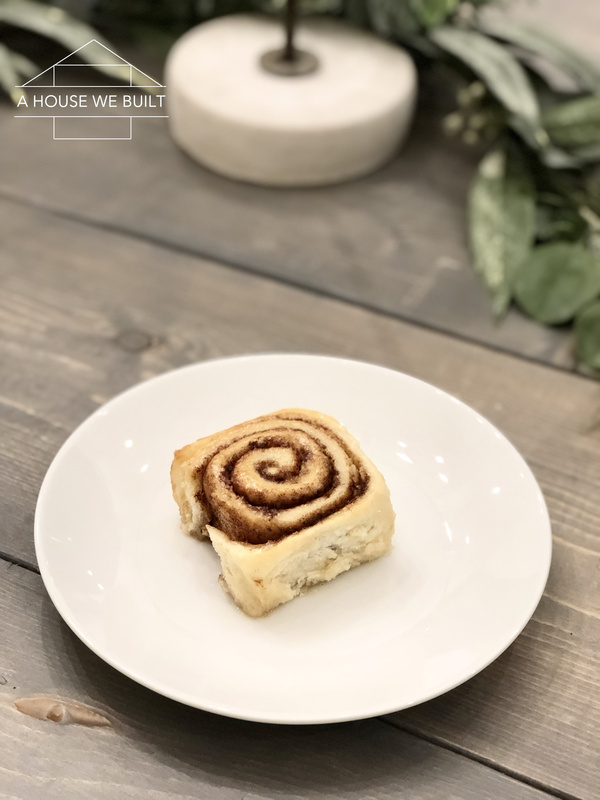 These cinnamon rolls are a family favorite in our house and they’re actually way easier to make than I ever expected. 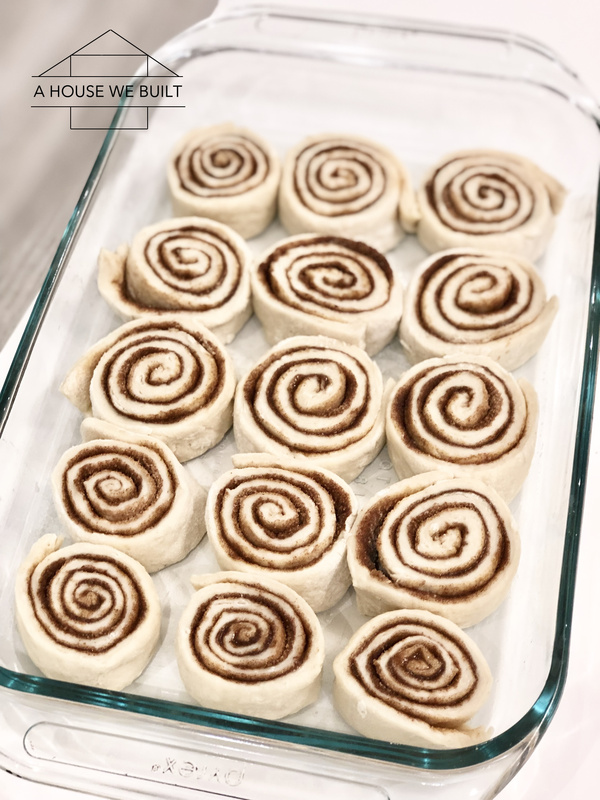 Honestly, this was one of those recipes that I always used to think was so complicated but it’s surprisingly one of the easiest desserts to make from scratch and they’re beyond delicious!! Pour yeast over mixture and let it sit for 1-2 mins. 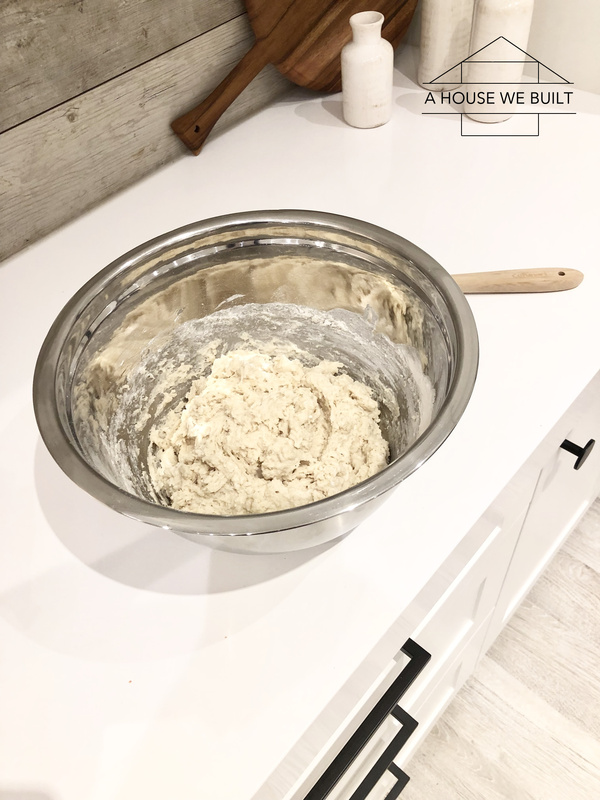 Add 4 cups flour to the bowl and mix. 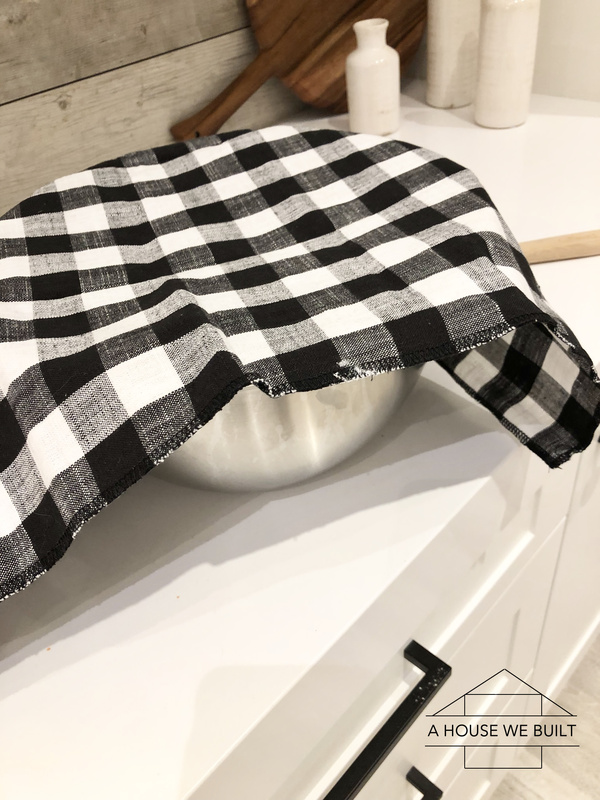 Cover bowl with towel and let it sit on the counter for an hour (it should rise to about double its size in this time). While it’s rising, mix up your cinnamon sugar + melt the butter for the next phase. 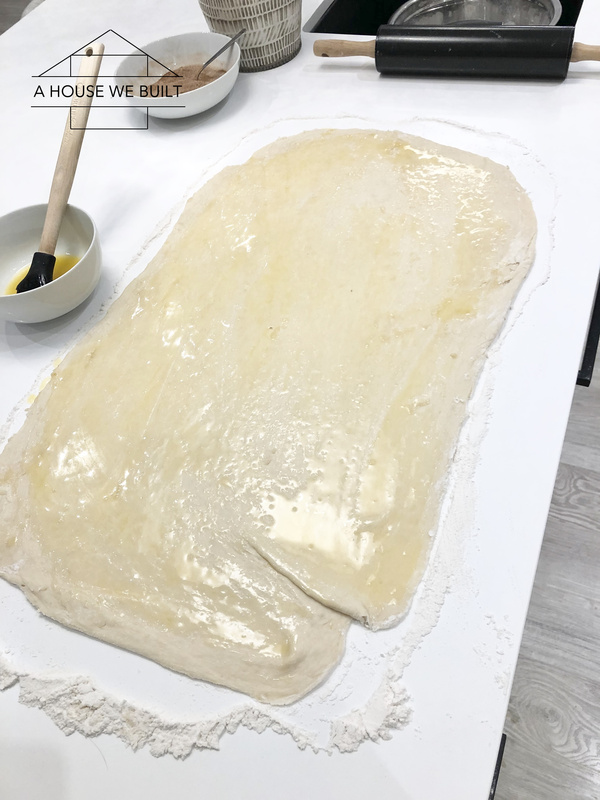 Add 3/4 cup more flour + baking powder + salt to your dough and mix. Place remaining 1/4 cup of flour on counter and place the dough onto the counter. 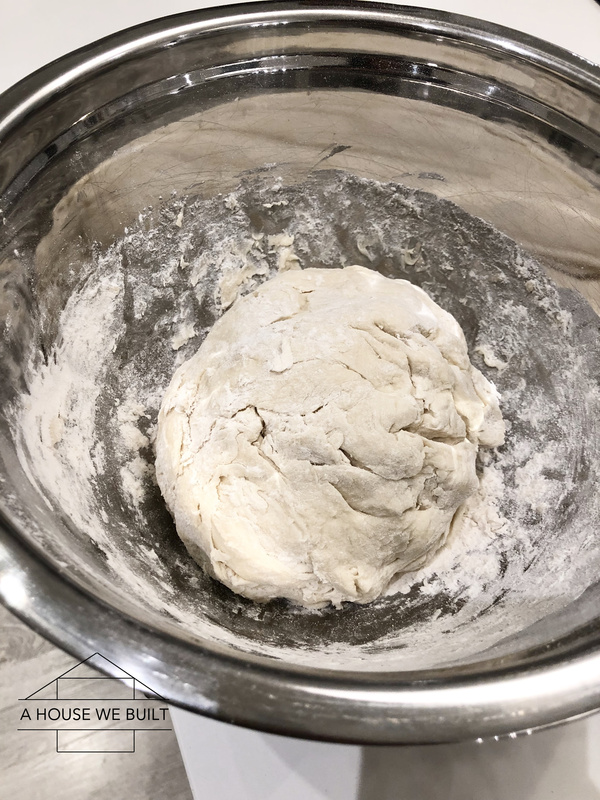 Knead it together until it’s a relatively combined dough ball (should be kinda stretchy and it’s okay if it’s not perfect). It shouldn’t be sticky though. 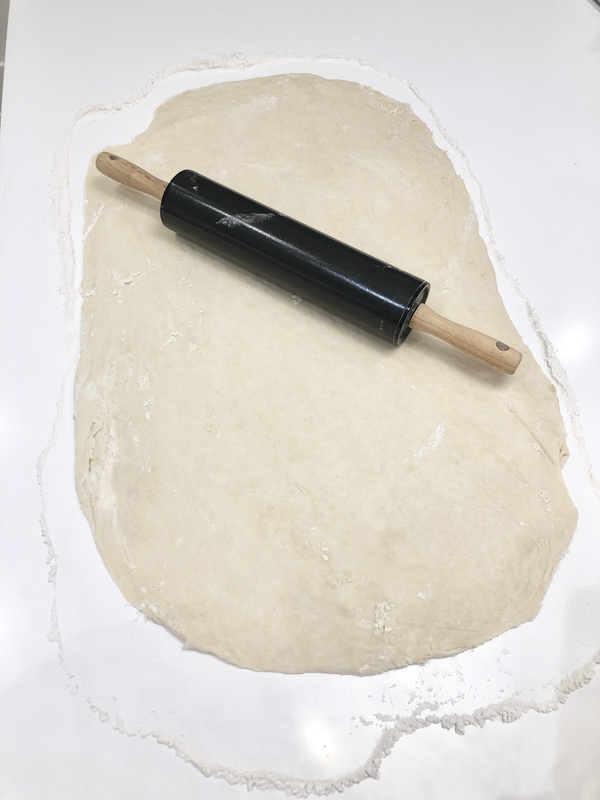 Roll the dough out into a rectangle about 18×24″ and 1/2″ thick and try to keep it as even as possible. 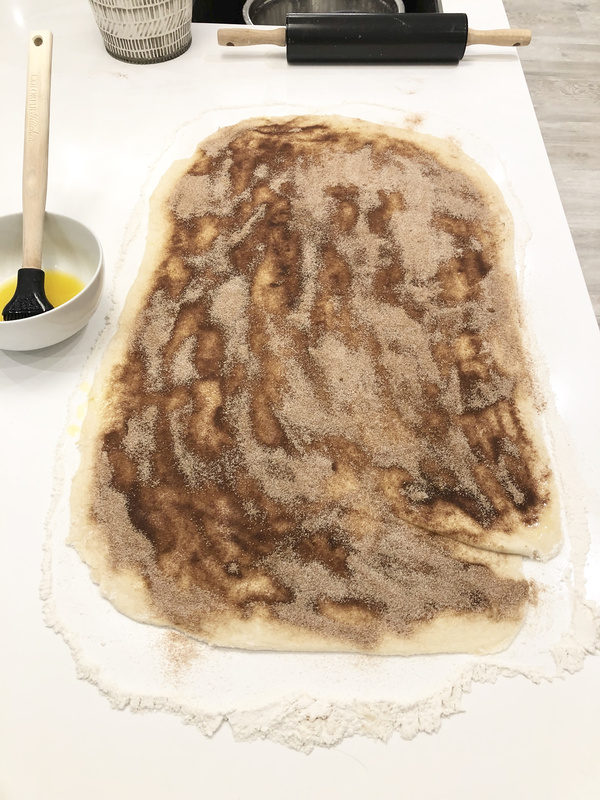 Brush the melted butter over the dough & sprinkle your cinnamon sugar mixture evenly over the dough. 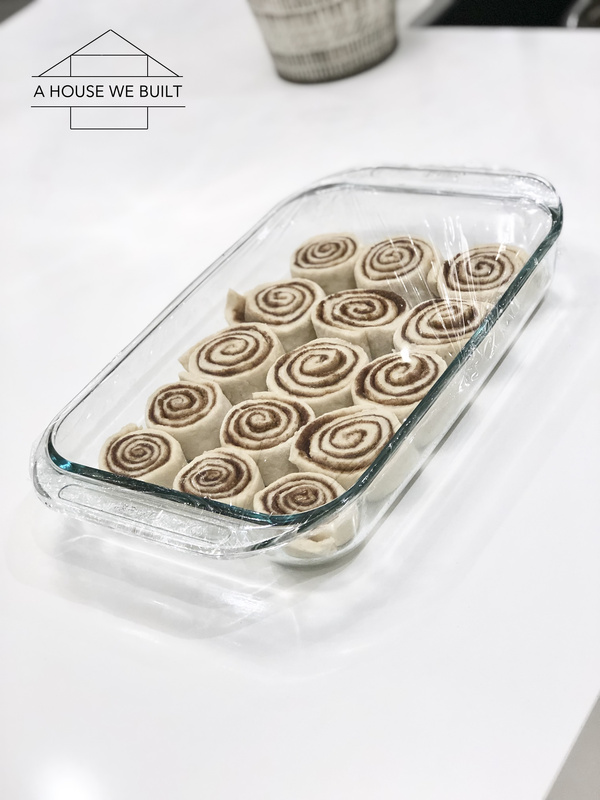 Grease up a baking dish (I use a rectangular glass dish but I’ve seen it done with circular pans as well. 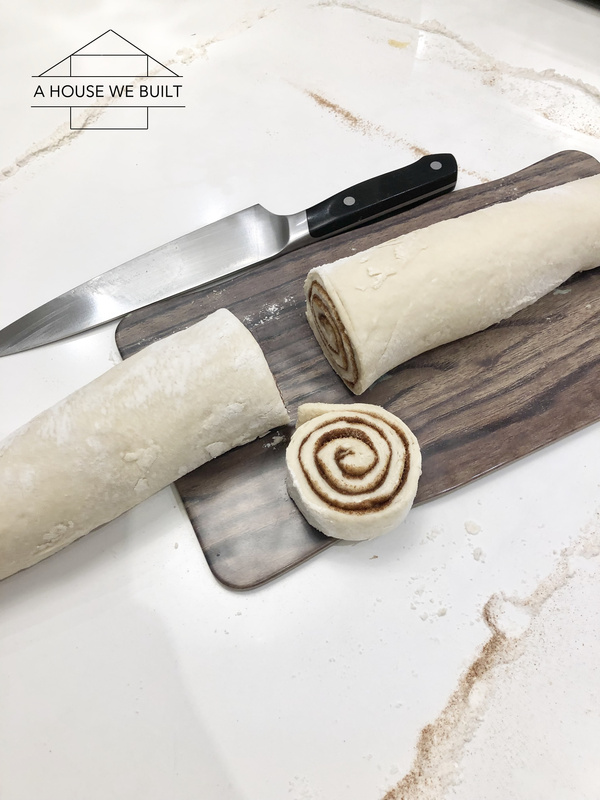 Honestly it doesn’t matter, use whatever you like best) and place the roll pieces evenly without smushing them together but also without actual space between them. Cover with plastic wrap and let it rise on the counter for 30 mins. 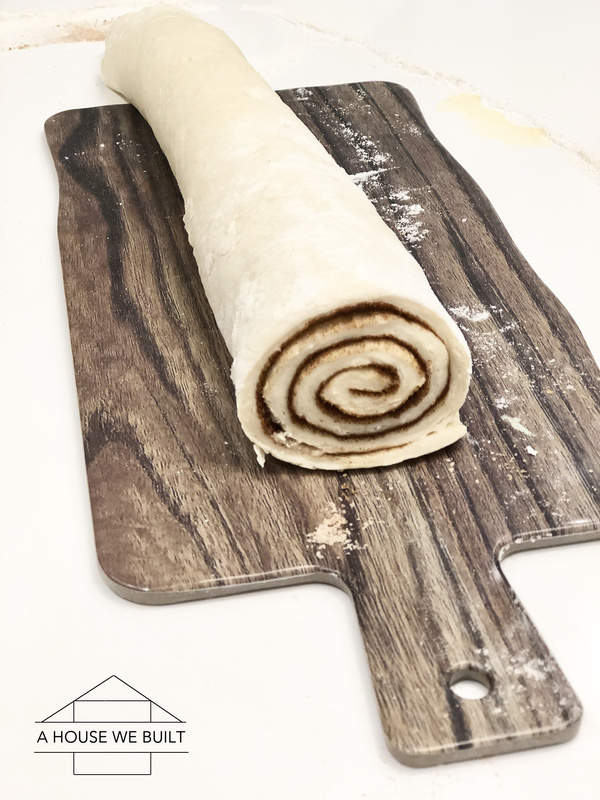 After 30 mins, bake the rolls at 350 for 20-30 mins. I usually set the timer for 20 mins and watch until they juuuuust start to brown. While they’re baking, mix up your glaze. Start with the powdered sugar and slowly whisk in small amounts of milk until you get a nice thick glaze. Add in a dash of vanilla to taste. 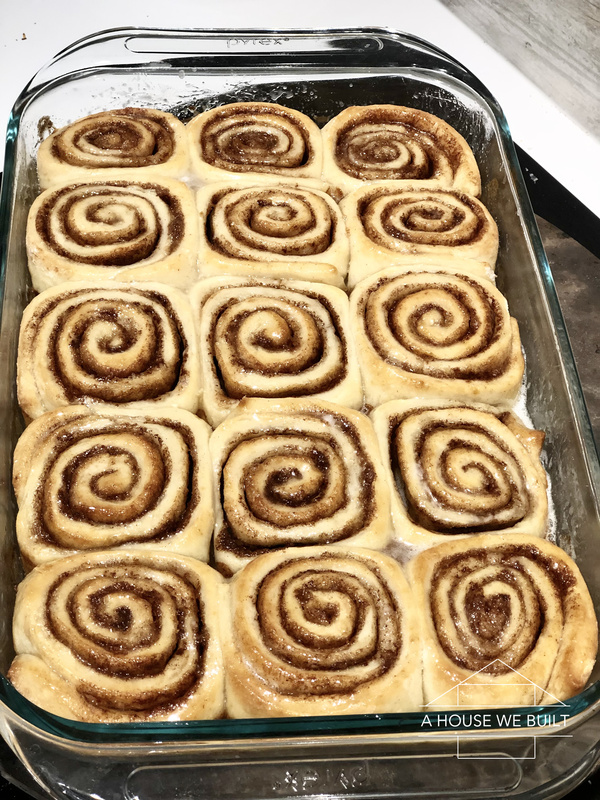 Set aside until rolls are done baking. 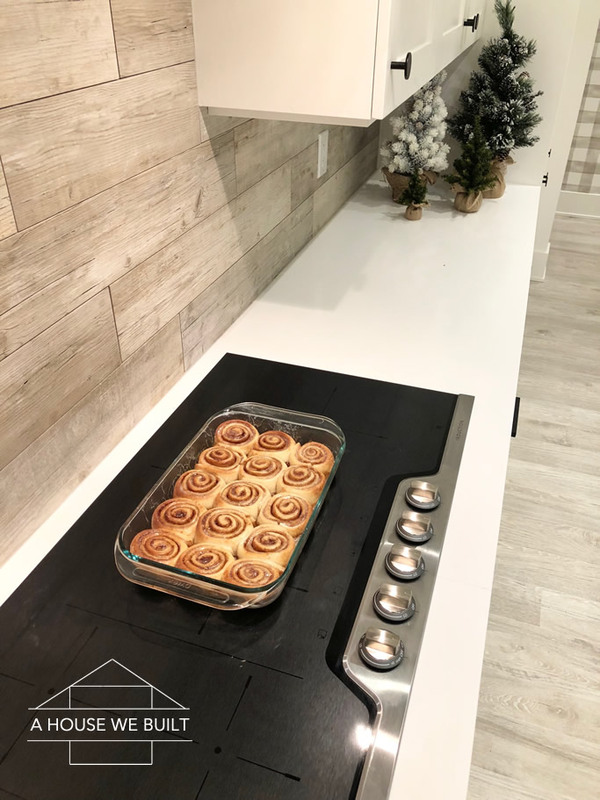 After 20-30 mins, remove rolls from oven and immediately coat with the glaze while they’re still hot. And that’s it!!! 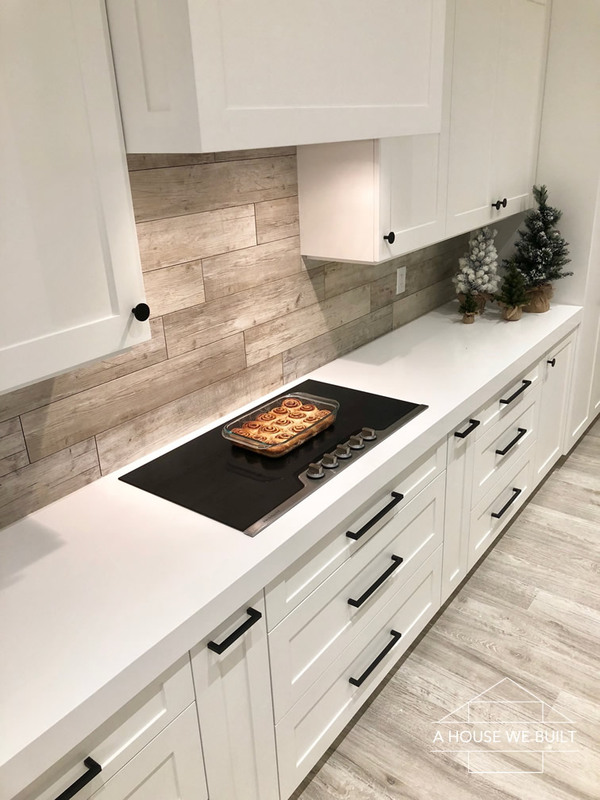 Now enjoy your delicious from-scratch homemade treats!